The early consensus on Paul Ryan’s speech is that he was speaking to conservatives rather than the country. And Ryan certainly did his share of anti-Obama fulminating. Still, I heard the speech as much more of a lurch to the center than the press generally gave him credit for. When pundits on either team touted Ryan’s VP credentials, they often talked up his skill at selling his radical budget blueprint, which the GOP has embraced and which Mitt Romney supposedly had to defend. But Ryan did the opposite: He largely cut bait on his budget plan and tried to convince voters he and Romney aren’t the least bit threatening. A Romney-Ryan administration will protect and strengthen Medicare, for my Mom’s generation, for my generation, and for my kids and yours. Above all, whereas Ryan has made dismantling the social safety net the central project of his years in government—he has famously vowed to stop the safety net from becoming “a hammock that lulls able-bodied citizens into lives of complacency and dependency”—last night he proclaimed himself a champion of social insurance: “We can make the safety net safe again,” he said in his closing flourish. Defending Medicare against raids by cynical pols, giving tax cuts the cold shoulder, preserving benefits for the poor and vulnerable, standing tall against assaults on the safety net—these all sound to me like a pitch for swing voters, Ryan’s personal paper-trail be damned. It is, in the end, very likely the reason Romney picked Ryan as his running mate. Romney has always known he needed a centrist makeover to have a shot at winning. But because he never had credibility with conservatives, he never felt secure enough to make his move. What Ryan brings to the ticket is credibility in spades. Who’s going to criticize Romney for getting all weepy about the mommy-state with Paul Ryan on the ticket? Better yet, who’s going to criticize Mr. Safety Hammock himself? 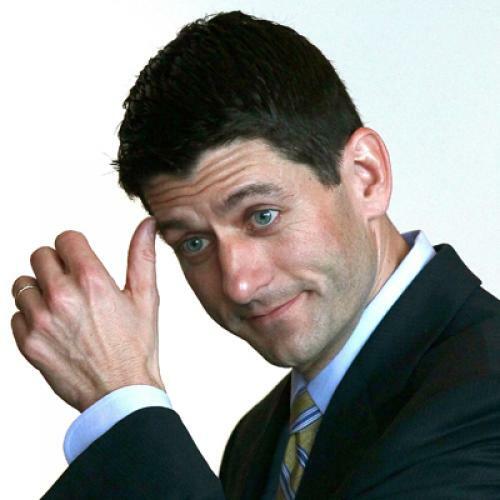 Last night Paul Ryan retired his radical assault on government because it was necessary (at least during the campaign), and because he could. If this holds, his selection will have been a success even if he does nothing else for the ticket.